Peeing in one's socks may not be everyone's first choice for powering their mobile devices, but apparently it could be an option. 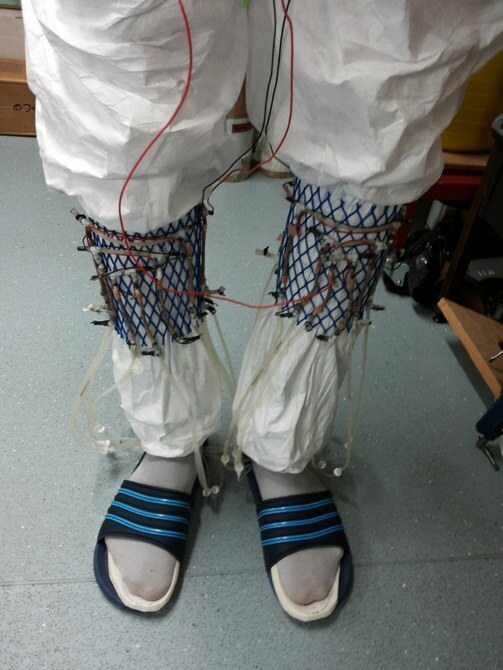 A team of researchers from the Bristol BioEnergy Centre at the University of the West of England is experimenting with a pair of socks that use urine to generate electricity via miniaturized microbial fuel cells. Results have already started to trickle in, with the system used to run a transmitter to send wireless signals to a desktop computer. MFCs aren't new and this isn't the first such experiment conducted by the team led by Professor Ioannis Ieropoulos. In 2013, they powered a mobile phone using pee in an MFC, but that was a benchtop affair. 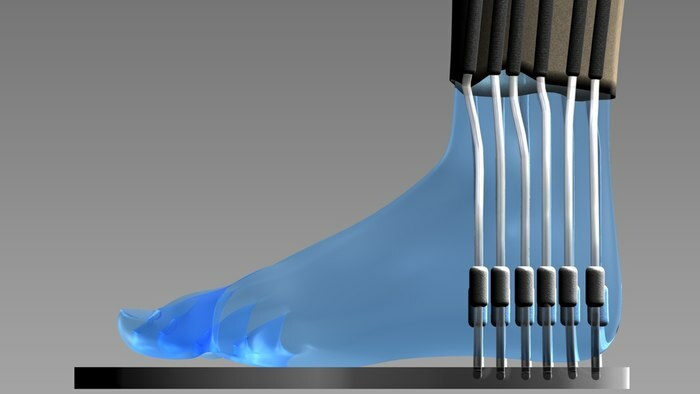 The team claims that the urine-powered socks are the "first self-sufficient system powered by a wearable energy generator based on microbial fuel cell technology." The key to this rather unorthodox style of footwear is the MFC, which converts organic matter directly into electricity. Inside the MFC there is a mixture of ordinary anaerobic microorganisms that release electrons as they feed – in this case, on the urine. The technology has been under development for 30 years, but because of problems in scaling up the technology to provide significant amounts of power, it has yet to find widespread commercial application. However, it is possible to attain practical levels of power when several small MFCs are stacked and wired together. In the case of the socks, soft MFCs were embedded into a sort of support anklet, while a pump modeled after a primitive fish heart was embedded in the heel of the sock. The reason for this is that the microbes need to circulate through the MFC to remain alive and reproduce and metabolize efficiently. As the wearer walked about, the push-pull motion circulated the urine through the MFCs, which, according to the team, generated enough electricity to send a signal every two minutes to a receiver module controlled by a PC. "This work opens up possibilities of using waste for powering portable and wearable electronics," says Ieropoulos. "For example, recent research shows it should be possible to develop a system based on wearable MFC technology to transmit a person's coordinates in an emergency situation. At the same time this would indicate proof of life since the device will only work if the operator's urine fuels the MFCs." The research results were published in Bioinspiration and Biomimetics.